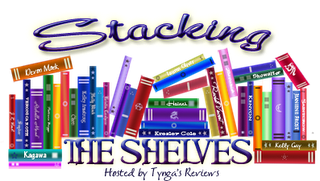 Stacking the Shelves is a weekly feature by Tynga's reviews to show off the books and other book-related goodies we got that week. This can be books we bought, got for review, won, etc. No matter whether they are print or ebooks. Also, I'm taking a colloquium on James Joyce's Ulysses for my studies this semester. It's taught at the James Joyce Foundation here in Zurich by Fritz Senn, one of the best Joyce scholars there are, and I'm honored to have the chance to learn from him. Also won: Dreamwalker, by Andrea Heltsley. Death and the Girl Next Door, by Darynda Jones. I haven't read anything by this author before but what I've heard and also the description of the novel makes me excited for this one! I'm in the minority when it comes to Obsidian...didn't like it, but I hope you enjoy it :) That's great about the colloquium on Joyce. Two years ago we had a guest professor from Richmond University for a course on contemporary women's literature. She was such a delight to learn from. I'm going to get Obsidian next week; so curious to see what the hype's all about :) Enjoy! Death and The Girl Next Door looks awesome. Great haul of books. Come visit me as well. Death and the Girl Next Door sounds ace, enjoy! Oooooo I hope I get approved for Jones' book. I love her adult series. Oh and I just read Obsidian and it's a good book. You should also read Shadows which is the prequel. 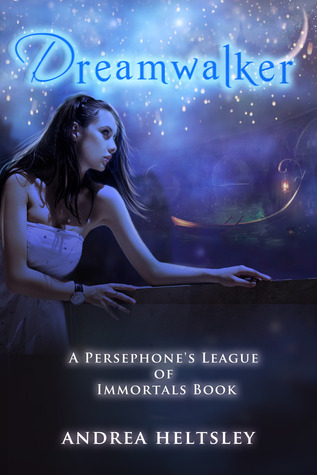 It will explain Daemon's personality a little better. I really want to read Obsidian, it looks really good. Enjoy all your books! AHHHH Obsidian. So hot. LOVE me some Daemon <3 I hope you enjoy your books and happy reading this week! So excited that you got Obsidian!! Hope you LOVE it. Great Haul. Can't wait to see your thoughts on some of these.